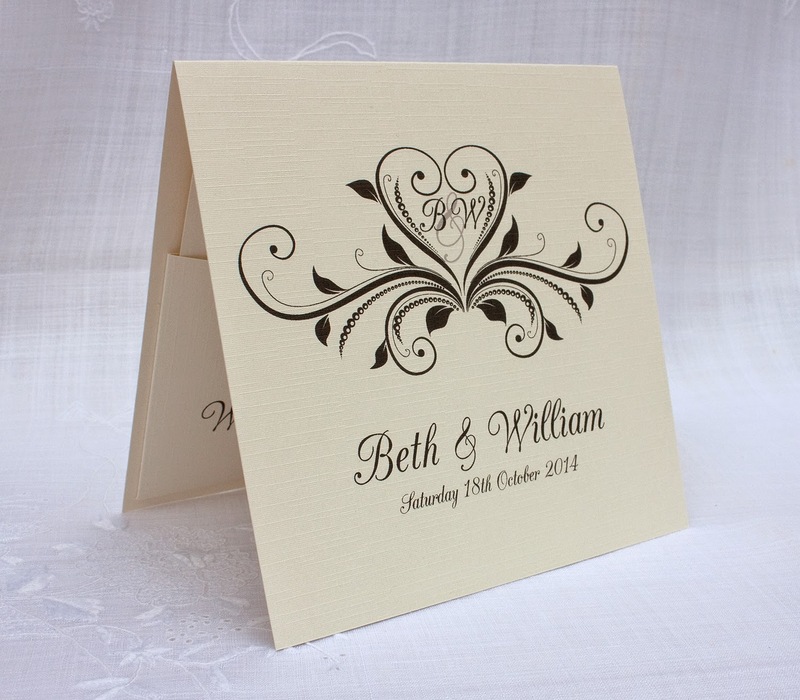 The Beth invitation has been designed with an intricate heart motif, incorporating the initials of the happy couple combined together using an enlarged ampersand in the background. The text style has been chosen to compliment the motif and give an overall elegance. 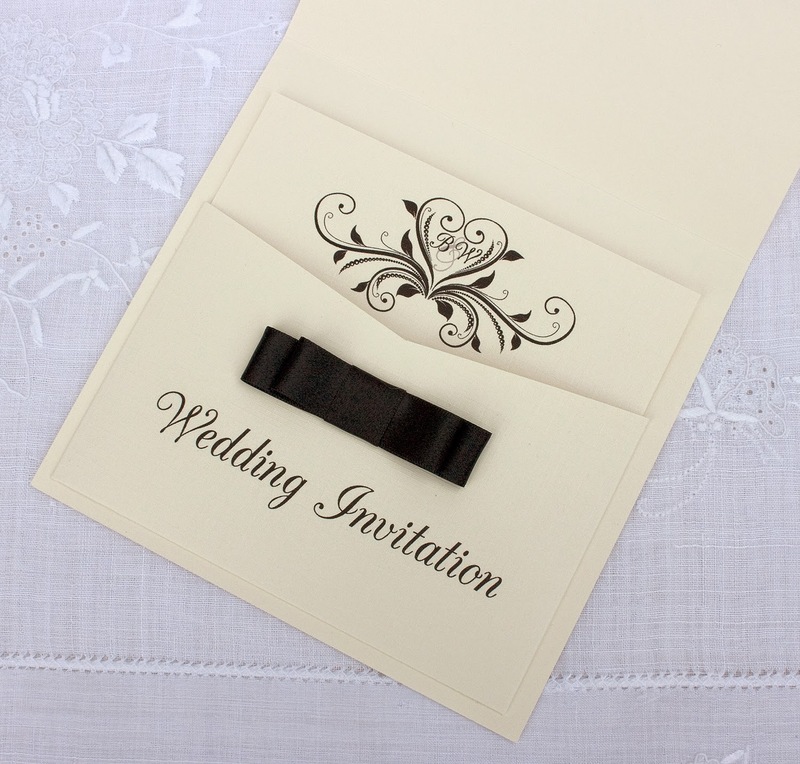 This pocket style invitation has also been designed so that the motif on the insert is not obscured by the pocket front, before it is removed. The ivory card used, is a mixture of plain and linen effect. 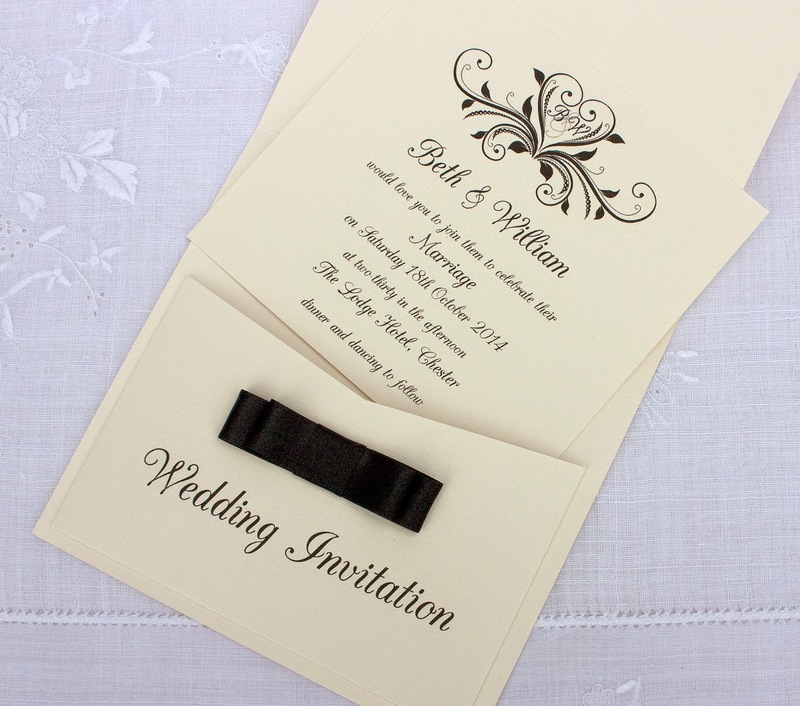 The ribbon bow embellishment can be changed to suit any colour scheme, and gives an additional personal touch to the invitation.